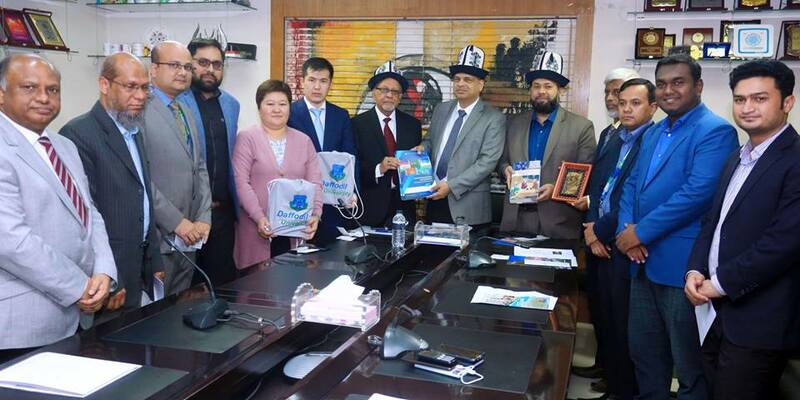 Bedelbai Mamadiev, Director, Regional Institute of Central Asia (RICA) and Elvira Sagyntay Kyzy, Project Manager, Regional Institute of Central Asia (RICA) visited Daffodil International University (DIU) from 26 to 29 January 2019 to discuss potential areas of collaboration between Bangladesh and Kyrgyzstan. 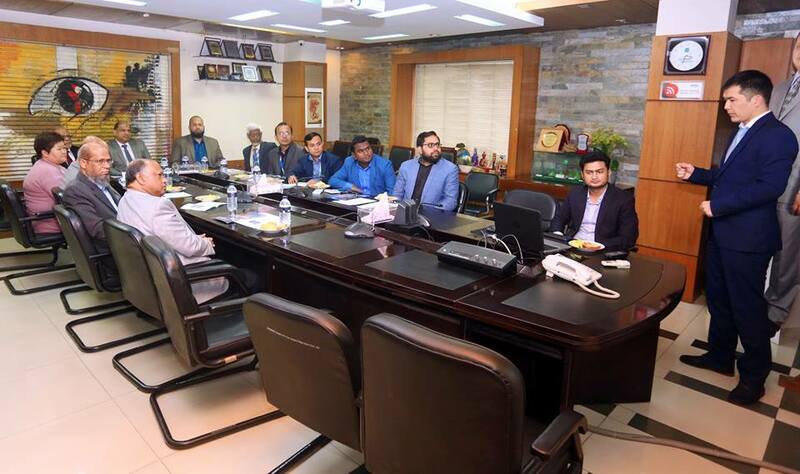 Prof Dr. Yousuf Mahbubul Islam, Vice-Chancellor, Prof Dr. S.M. 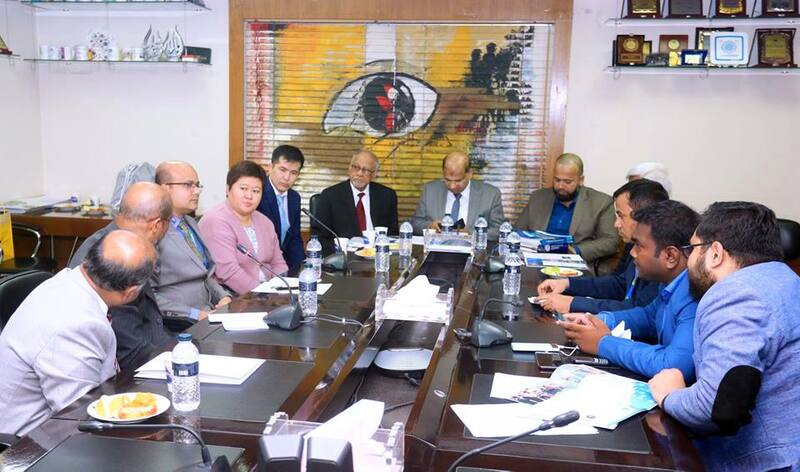 Mahbub Ul Haque Majumder, Pro Vice-Chancellor, Prof Dr. Fokhray Hossain, Director, International Affairs and other high officials including Head of the departments attended the meeting to explore the possibilities. Representatives from RICA presented the possibilities of Erasmus+, Research Programs. Summer Leadership Program, Fellowship Program, Small Philanthropic projects etc to collaborate with DIU. After the meeting, both parties exchange a token of appreciation between the meeting attendees.